Her Majesty and the Wounded. Sir, - The Queen of England has lately paid a visit of womanly solicitude and maternal sympathy to the brave men whose mutilated limbs and shattered, but still noble, frames show with melancholy clearness how they have fought and suffered for their country and her crown. To most, if not all, of them, from her woman’s heart, and with her winning voice, were spoken – for so they love to tell – words which are now repeated with honest pride in the sick-ward to the listening stranger, and will be told again and again to wife and children for many a year in many a cottage home of England. Nay, on returning to her palace her thoughts were still on the brave she had left, and her order was forthwith despatched for a nominal return of all the wounded in the chatham hospitals, with details, so far as possible, of each case. Not were the medical authorities forgotten, for not only did Her Majesty personally express, as well she might, her satisfaction at all she saw, but they were further honoured, as indeed they deserved, with a written communication, expressing how much the Queen was gratified by the care bestowed upon their patients, and the condition of the hospitals in Fort Pitt and the Brompton Barracks. It is simply an act of justice to add, that the state in which Her Majesty found these hospitals was their everyday condition, and that one of the surgeons at Fort Pitt may well congratulate himself on not having lost a man of his numerous charge. But there is an obscure, if not dark side to this picture, as well as a bright one. 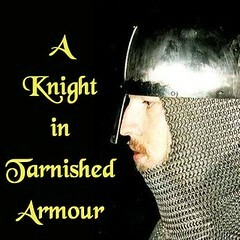 Her Majesty did not see all; she did not see what she ought to have seen above all. She did not see what she could not have seen with any other feeing than sorrow, if not indignation and yet she was within eight minutes’ drive of the buildings where it may be seen! There, Sir, are the casemates, or St. Mary’s Barracks, about a mile form the Brompton, at the south-east extremity of a marshy level on the banks of the Medway, significantly called “Tom-all-alones.” Their atmospheric fitness for invalids my be judged of from the fact that the cold on the upperstory, with boarded floors, is so great that the clerks of the pay-office petitioned to be removed from it, and had their request granted. As for water, it is supplied to the officers there from cisterns which serve a twofold purpose in the cheapest and shortest but filthiest, and foulest way possible. For the men there is indeed, a pump near, but then “it is no good,” and so with their weak bodies and disabled limbs they had to fetch all they wanted in the late frost and snow from another pump or well some 300 yards off. It is asserted, too, that these barracks have already been condemned by more than one board as altogether unfit for invalids, and men of ordinary humanity would declare that the vaults - rooms they cannot be called - which are now occupied by the Crimean convalescents are not fit habitations even for robust health. Indeed, it is not at all improbable that the cells of the military prison at Fort Clarence are much more comfortable and wholesome than the lodgings of the men whom the Queen delights to honour, for the latter are from 60 to 70 feet long by about 13 broad, banked up at the back with earth above the level of the ceiling, with only one fireplace in each, and this is not in the middle, but at the extreme end, and no ventilation at all except by the door and windows, conveniently fronting the north-west, for the exhalations form the mud of the Medway. The floors are paved with Yorkshire stone up the middle, and bricks at the sides laid on the natural earth, on which stand the iron bedsteads about 13 inches high, with straw mattresses to match, and not a bit of straw of matting anywhere else. Into these cold clammy caves are put invalids – convalescents perhaps are called – men, women and children, from Gibraltar, or even a warmer climate. In them may now be found men pierced and cut all over who have escaped with life from Alma, Balaklava, and Inkerman, and are fresh from the exhaustions of Scutari, or just recovering from wounds and fever through the care and comfort which they had enjoyed in the hospitals of Fort Pitt and Brompton. In one of them especially may be found, by night and by day, five or six families or married couples with their children. All this Her Majesty should have seen; and a local reply to an observation to this effect was “They would not let her!” Whether this be true or not, it is impossible to say, although it is a fact that the inmates of these places were removed from them for inspection elsewhere; but, whatever “the reason why,” the public may be unanimous in thinking that the nation is disgraced by such a state of things, and that in humanity and gratitude are of no avail to prevent each treatment of her bravest sons in their “hour of need,” still the health and the lives of her soldiers are far too precious and costly to be endangered, if not destroyed, in the miserable caves of a bombproof powder magazine. I was just looking through part of the 1871 Census and noticed the entry for "St Mary Barracks And Brompton Huts, Chatham, Gillingham." I'm presuming Brompton Huts refers to the Hut Barracks that were replaced in 1872-4 with the RE Institute (so this record probably shows the last troops to occupy that site). 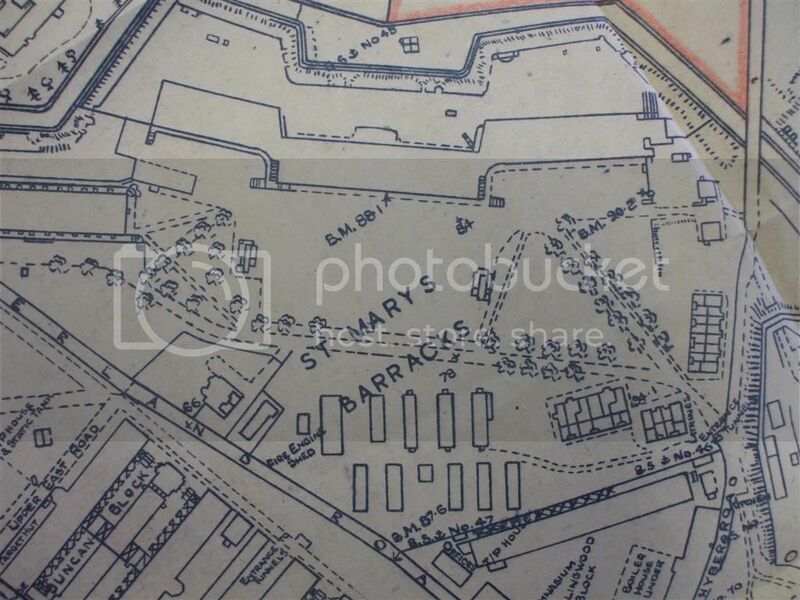 According to The Morning Post, the hut barracks were moved to a site near St. Mary's Barracks in about October 1871. A quantity of tackle was borrowed from the Dockyard to help in their removal. On Saturday while some youths were playing golf at St. Mary's Barracks, Chatham, one named Frank Richard Bennett, missed the ball in striking and accidentally hit a companion named William Richard Chapman behind the ear with the club. Chapman fell down insensible, and expired almost immediatly. I've heard about the golf course at the barracks before, does anyone know where it was please? I have an original copy of the article Merc quotes from above, so I thought I'd add the illustration and supply a copy of the full article. 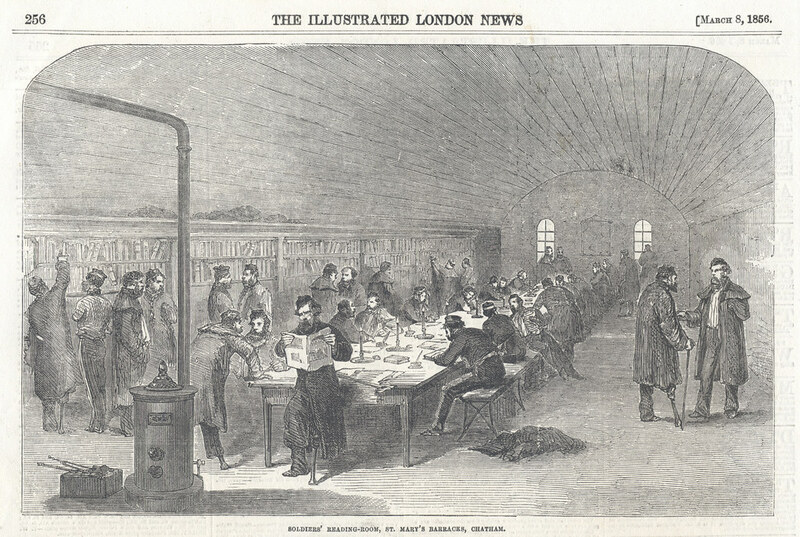 SOLDIERS' READING-ROOM, ST. MARY'S BARRACKS, CHATHAM. THIS extended line of Barracks was built during the Peninsular War, and was first used to accommodate the French prisoners: here it was so many expressed their sense of the great consideration shown them by the Government of this country. When the barracks ceased to be in requisition for the above purpose they underwent material alteration, and, after being rendered bomb-proof were converted into extensive powder magazines, continuing to be used as such for many years. Being at a considerable distance from the other buildings occupied by troops, and great inconvenience arising from this cause, detached powder magazines, more compact and contiguous to the different stations, were erected; when St. Mary's Barracks were used as stores for the Royal Engineers. As our Indian territory increased a corresponding supply of well-trained young men from the Provisional Battalion became necessary; in consequence of which. during one period of the year especially, the entire space of Chatham Barracks was required for this additional influx, and then it was thought expedient to appropriate a part of St. Mary's for the reception of such regiments as might arrive from foreign stations, or as a temporary barrack for a part of the Provisional Battalion instead of sending them to Canterbury. The annual return of between three and four thousand soldiers from India and the British Colonies - who, either from impaired health, or, having served their full term, were considered exempt from further active service - induced the authorities to decide upon St. Mary's Barracks as the fittest place for them, and since the year 1844 they have been exclusively set apart for the temporary quarters of such previous to their final disposal. The situation of St. Mary's Barracks is remarkable for salubrity of air, and the surrounding scenery is exceedingly picturesque. On the east, the river Medway extends as far as the eye can reach, studded with numbers of men of-war, and enlivened by the constant passing of vessels. Towards the south, the rich valley of Gillingham and Rainham presents a pleasing view, which, during summer and autumn, is rendered still more attractive by its numerous cherry and apple orchards. On the west, Upna Castle, with it surrounding panoramic scenery, and the river in the foreground, invariably offers a pleasing prospect. Indeed, St. Mary's Invalid Barracks, standing on a light loamy soil, within the line of fortifications, are capable, with their many natural advantages, of being rendered by a little taste a most desirable station. St. Mary's Barracks have, of late, been a place of special interest, they having been the receptacle of so many thousands of men - some, after a long and honourable career, to return to the place of their birth, carrying with them the rewards of merit; some, less fortunate, to whom loss of health in a tropical clime has proved a barrier to their promotion; and last, though not least, the fearful number of the wounded, whose military career has been arrested by those many casualties war so necessarily entails. The Barracks have lately been honoured with the visits - first of his Royal highness Prince Albert, when he became a spectator of the mode of attack, scaling of walls, hand•grenading, and the explosion of mines, attending a siege; and next by that of her Most Gracious Majesty the Queen to such of her brave army as returned invalided from the seat of war. For the use of the invalids in the Barracks, a Library is now being fitted up in one of the rooms of the Upper Gallery, and will form a most important feature of attraction to the soldiers, and a general acquisition to these Barracks. About 800 volumes of historical and miscellaneous works have already been provided. Bookshelves are to be arranged on each side, a table extending down the centre, and the apartment will be lighted with gas. 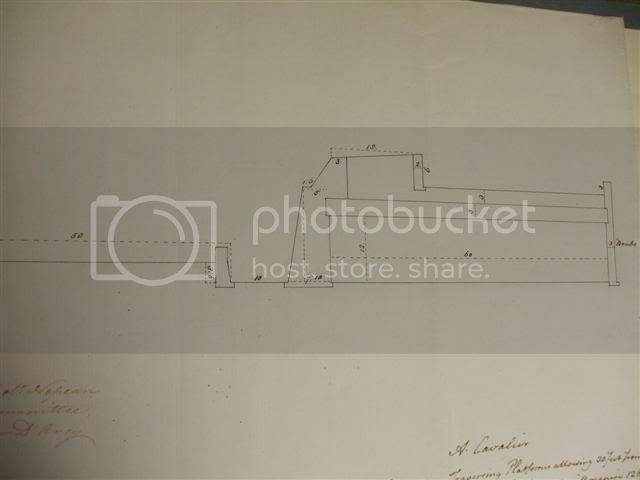 The heads of the different departments of the garrison have been very anxious for this important object; and it will, doubtless, be a great inducement for numbers of the invalids to remain quietly in barracks instead of passing their time so unprofitably in the town. The accompanying illustration shows the Reading-room, as far as this very desirable improvement has progressed. After inspecting the men on the ground the Queen and party walked across to see the Casemate Barracks, about which so much has been said and written of late. She went into one or two of the upper rooms and was quite horrified at them. “Are these really the barrack rooms of these Invalids?” she said to me: I said, “Yes indeed they are your Majesty” And Prince Albert, looking over towards the splendid Convict Prison recently built in view of the Casemate Barracks, said “Well it seems very extraordinary that there should be no difficulty in obtaining money to erect a magnificent building like this for convicts, and that it should be impossible to find the means of building a commonly comfortable Barrack for convalescent soldiers. A library is now being set up for the invalids in one of the rooms in the Upper Gallery. About 800 volumes of historical and miscelleneous works have been provided. Book shelves are to be arranged on each side with a table extending down the centre. The apartment will be lighted with gas. The heads of the different departments of the Garrison have been anxious for the new library and hope numbers of the invalids to remain quietly in barracks instead of passing their time so unprofitably in the town. Source: The Illustrated London News. The regiment stationed across the two barracks at this time were the 2nd Battalion 23rd Royal Welch Fusiliers (plus a corporal and a private from the 6th Dragoon Guards). One thing I did find of interest was the number of women and girls (wives, daughters and servants) living in the barracks. Of the 864 people recorded, 115 were female, a little over 13% of the population. From Brompton she drove to St. Mary’s, where she inspected upwards of six hundred convalescents drawn up in line. The answers of some of the men to her questions, and their mode of address often amused her, as for instance, one, in replying would say – “Oh, yes ma’am!” another would say “Oh no, miss, Your Majesty, I mean,” or “Your Highness,” the poor fellows were so confused that they said, as often as not saying no for yes or vice versa. One man, asked a question by Lord Hardinge, and in the confusion of his thoughts addressed him as “Your Majesty!” The Queen heard this, turned to his Lordship and laughed. St. Mary’s Barracks were built between 1779 and 1782 to house convicts and prisoners who built the fort and worked in its associated brickfields. These later became known as St. Mary’s Barracks and remained in use until their demolition in the 1960s. 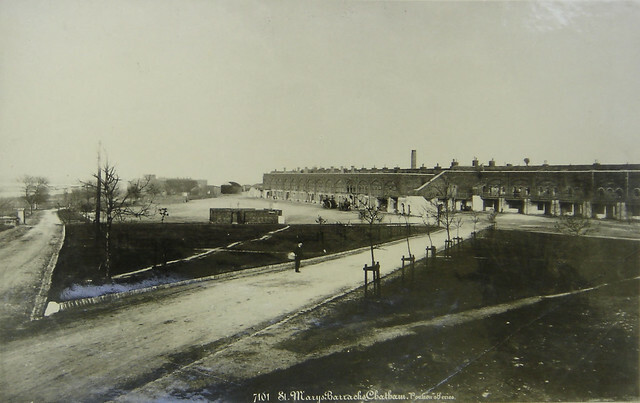 St Mary's Barracks were occupied by Infantry to 1881, then by the R.E. Ballon Establishment and Submarine Miners. From 1893 to 1925 it was occupied by the R.E. Service Bn or Depot, then by miscellaneous R.E. and other units. It was taken over by the R.N. in 1941. That about exhausts my knowledge, but I'm sure someone here will know much more. Proposed guns at the barracks.